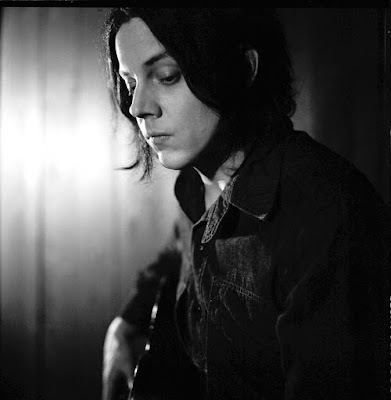 Jack White is sharing details of his third album, “Boarding House Reach”, which will see its release on March 23. White wrote and conceived “Boarding House Reach” while holed up in a spartan apartment in Nashville with literally no outside world distractions, using the same kind of gear he had when he was 15 years old: a quarter-inch four-track tape recorder, a simple mixer, and the most basic of instrumentation. For the follow-up to 2014’s “Lazaretto”, White recorded with a new lineup of musicians that includes drummer Louis Cato (Beyoncé, Q-Tip, John Legend), bassist Charlotte Kemp Muhl (The Ghost Of A Saber Tooth Tiger), synthesizer player DJ Harrison, keyboardist Neal Evans (Soulive, Talib Kweli, John Scofield), percussionist Bobby Allende (David Byrne), and backing vocalists Ann & Regina McCrary of Nashville's legendary gospel trio The McCrary Sisters. “Boarding House Reach” (full track list below) is being previewed with a video for the project’s lead single, “Connected By Love”, the first song the rocker wrote for the project. “I just started humming notes out loud, staring out the window," White tells Rolling Stone. "After that, you really can't explain it. You just have to get out of the way and let it happen. And you don't really notice it as it's happening." Audio of a second track, “Respect Commander”, has also been issued to give fans a taste of the scope of the record. An exclusive limited-edition package of “Boarding House Reach” is available via Third Man Records’ subscriptions prior to January 31. Vault Package #35 is highlighted by a limited edition, blue and black swirl colored 180-gram vinyl version that features exclusive cover art which dramatically depicts White's stylized face and is printed on holographic foil paper in the classic Stoughton tip-on style. The LP is further accompanied by a unique-to-this-package 12" x 24" insert featuring the complete album lyrics, exclusive photographs and a two-song demo 7-inch single featuring early demo versions of "Connected By Love" and the album track "Why Walk a Dog?" White is scheduled to perform at three festivals later this spring, including Atlanta’s Shaky Knees Music, Boston Calling, and the Governor’s Ball in New York – with more dates to be announced soon. The Detroit native’s previous solo effort, 2014’s “Lazaretto”, debuted at No. 1 on the US Billboard 200 and was nominated for three Grammy Awards, with the title track winning “Best Rock Performance” at the 57th annual event in 2015.